EcoBoost series are turbocharged gasoline motors with direct injection, manufactured by Ford. The debut motor of this type was a joint venture of FEV Engineering (Germany) and Mazda (Japan). Ford 2.0-liter and 2.3-liter motors are turbocharged modifications of Mazda L motors. Motors of this range were created to reach the identical efficiency with naturally aspirated motors featuring cylinders with larger capacity, but, simultaneously, reduce the fuel consumption and emissions. Basically, the producer asserts that this motor consumes 30% less fuel and is 15% more eco-friendly. 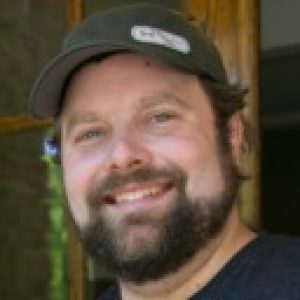 Seeing the EcoBoost technology as more affordable and miscellaneous than its hybrid and diesel rivals, Ford applied it for a great number of its automobiles. In 2015, Ford presented its 2.0-liter EcoBoost Generation Two along with the 2.3-liter variant, the largest 4-cylinder motor of the range as well as the strongest one. 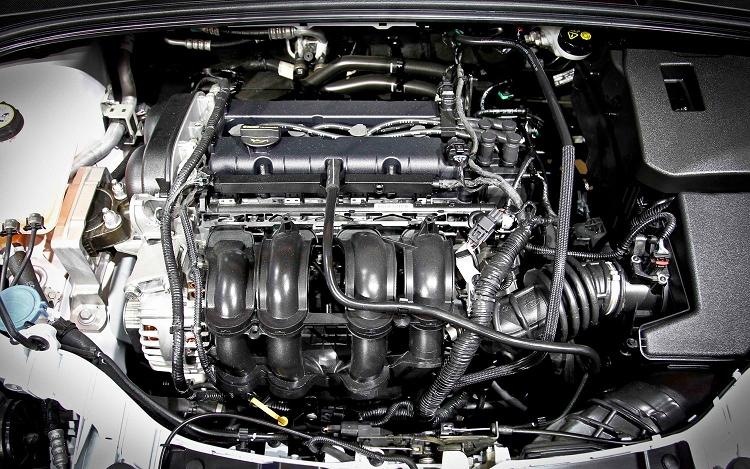 In 2015, 2.3-liter I4 turbocharged motor appeared. Initially, it was employed for 2015 Lincoln MKC crossover and the next year, it was utilized for Ford Explorer and 350 hp Ford Focus RS. However, EcoBoost reached popularity thanks to Ford Mustang, producing 310 hp and a torque of 320 lb/ft (434 Nm). To the point, Mustang SVO, released in mid-80s, was the last automobile of the brand, keeping a 4-cylinder motor with turbocharging. Substantially, the EcoBoost with 2.3-liter displacement was built on the framework of 2.0-liter EcoBoost Generation Two and is often denominated a “stroker”. Though these motors are manufactured at the same plant in Valencia (Spain), the 2.3-liter modification was strengthened to cope with greater power and have better endurance. This motor keeps an aluminum cylinder block featuring die-cast open deck. Having the identical bore size and deck height with 2.0-liter EcoBoost, the block of the 2.3l Ecoboost variation keeps larger oil and cooling passages plus structural ladder frame (fortifying ribs formed around the cylinders), comprising integrated main bearing caps. Fresh forged 4340 steel crankshaft featuring 96 mm stroke (comparing to 83.1 mm stroke in the 2.0-liter motor) allowed increasing the capacity. Besides, it gained shorter forged steel connecting rods plus lightweight pistons having steel piston ring carriers plus floating pins. More efficient lubrication and reduced friction are achieved thanks to updated pistons with low-friction skirt cover and a fewer amount of oil drainage ports. Oil, which is spread by the block by especial oil jets, cools the cylinder underside. The motor bottom comprises oil pump controlled by a chain, balance shaft plus die-cast deep-sump aluminum oil pan featuring a baffled surface for oil slosh prevention and oil delivery maintenance under active driving. An aluminum cylinder head, located on the block upside, keeps 4 valves, 1 GDI fuel injector and spark plug for each cylinder, 2 double overhead camshafts controlled by chain. The structure of the cylinder head supplies the exhaust manifold with 3 high-flow ports for the updated twin-scroll IWG turbocharger. While the 2.0-liter motor has 28 mm exhaust valves, its bigger version contains the ones of 30 mm. The intake valves are 32.5 mm. High-efficiency materials were utilized for valve seats. Being managed by Ford’s Twin independent Variable Cam Timing system, also called Ti-VCT, camshafts got higher lift along with better duration. Simultaneously, the exhaust camshaft ensures functioning of the high-pressure fuel pump (cam driven fuel pump or CDFP). 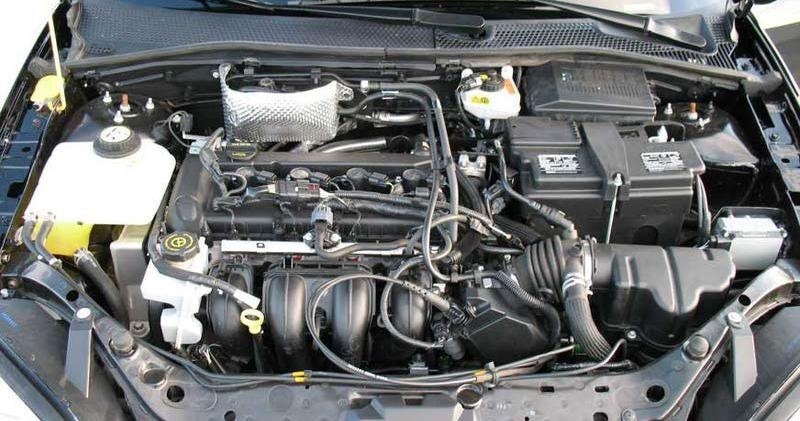 2.3 EcoBoost received modernized plastic intake manifold with bigger volume and a throttle body of bigger diameter. A twin-scroll turbocharger provides an immediate boost as soon as it’s necessary. Additionally, it grants a flat torque curve much faster than a classic turbocharger. Consequently, upgraded intake details provide more power and faster acceleration reaction, producing less emission, improving turbine performance plus reducing turbo delays. 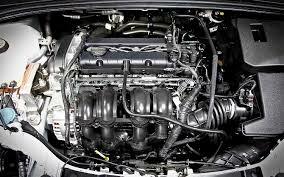 2.3-liter motor is the premier motor of the EcoBoost line equipped with a twin-scroll turbocharger. The unique cylinder head keeps a three-port integrated manifold construction, separating inner and outer cylinders into each inlet passage on the turbocharger. Twinscroll turbochargers guarantee a broad, flat torque, emerging when you stand on it – just the way Mustang fans suppose it to be. Consequently, spool and torque function faster than classic turbochargers while the acceleration reaction is related to the throttle stance. The extra advantages are lower emissions and refined turbine performance. For better breathing and higher power in Mustang automobiles, the big plenum tapered runner intake manifold plus separated split-pulse twinscroll turbocharger body were enhanced. Thus, the drivers, who seek for high-performance motors able to consume less fuel, get exactly what they want. 2.3 EcoBoost is a heavy duty turbocharged motor with direct injection, created for drivers, who can’t imagine their life without speed driving. Consequently, endurance of many details may be shortened in comparison with naturally-aspirated motors. 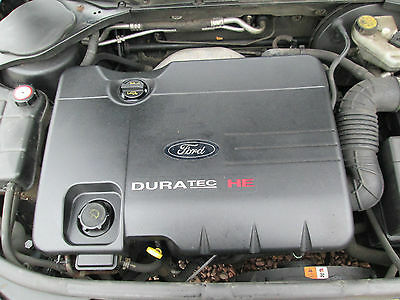 Leakage of head gasket is rather a common trouble of these motors in Ford Focus RS vehicles. First, you may notice white exhaust smoke plus excessive coolant consumption. But, afterwards, you may face misfiring under load or on cold start, a sweet odor of the coolant in the exhaust, motor overheating and loss of cabin heating. 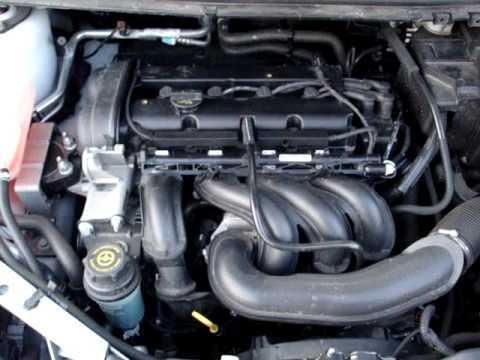 All those malfunctions are a consequence of utilizing the wrong head gasket, the one for Ford Mustang. 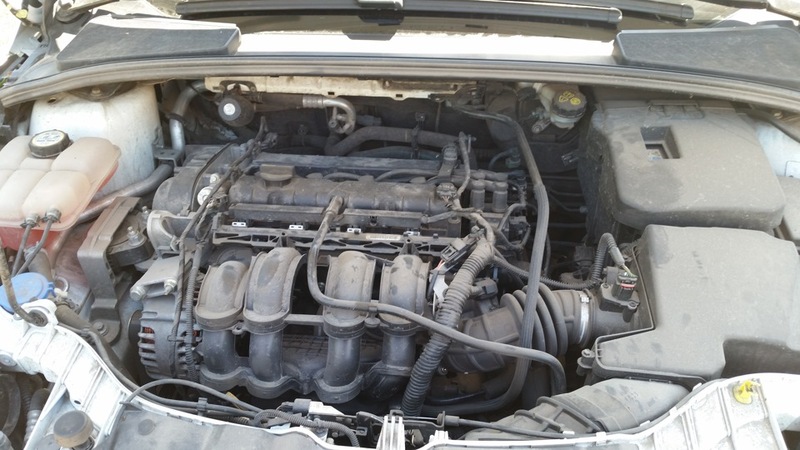 Basically, the motor must have special gaskets as 2.3-liter EcoBoost features identical styling but other coolant passages. Besides, bear in mind that head gaskets don’t leak in Mustang motors. GDI motors, including 2.3 EcoBoost, may face some output loss. The malfunction is accompanied by reduced efficiency and higher fuel use. The reason for that is concentration of carbon on the back of intake valves and intake ports walls. What’s more, the carbon black layer limits intake airflow and averts intake valves from proper closing. The resolution is to clean the motor from carbon black by initiating the special cleaning process.